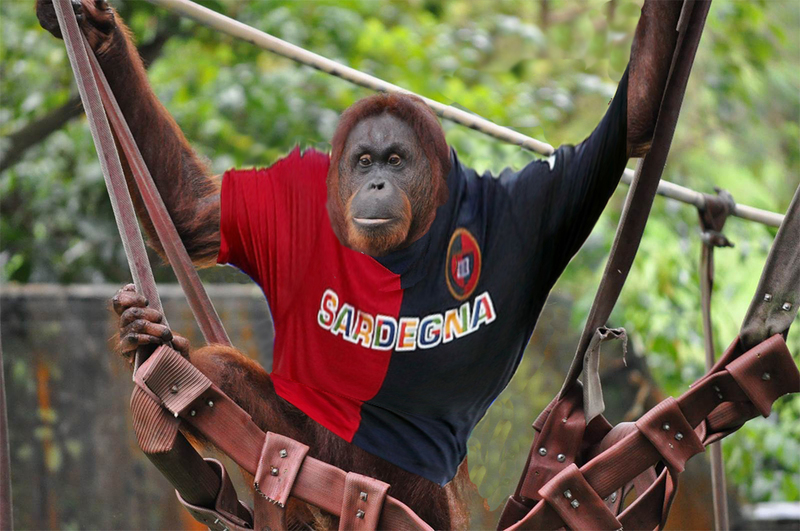 Shocking: These Orangutans Think They’re Italian Football Fans! Dublin Zoo has come under investigation from the Gardaí after it emerged that a gentleman of African extraction was racially abused by several orangutans. A zoo insider, who spoke on condition of anonymity, confirmed that they were aware of an incident which occurred at the orangutan enclosure two weeks ago. Italian football was rocked recently by racist abuse aimed by fans at footballers Sulley Muntari, Antonio Rudiger and Khalid Koulibaly. The incident at Dublin zoo happened less than 48 hours after this abuse came to light, with the orangutans apparently copying the Italian fans’ behaviour to the letter. The subject of the abuse also spoke on condition of anonymity, as he feared coming under further fire from orangutans on Twitter. He told us that he made an immediate complaint to a member of the zoo staff. This staff member claimed that she had not heard the abuse, and told the gentleman to ‘man up’. He then stormed out of the zoo, before changing his mind and trying to gain readmission to give the orangutans a piece of his mind and demand they be punished. He was denied access and told he would not be welcome back at the zoo for a full week. He demanded to speak to a manager, who informed him that as it was only ‘a tiny minority’ of orangutans who participated in the abuse, they would not be punished. Besides, he said, they all look alike, so it would be impossible to pick out the racist ones. The man countered by asking why he, an even smaller minority of one, should himself be punished with a one week ban for making a valid complaint. The manager then descended into a coughing fit before shouting: “Look, a giant bear!” and running away when the man turned to look at the animal, who had seemingly ducked out of view as the man was turning. When the man was asked why he’d waited over two weeks to register a Garda complaint, he claimed that he’d never spoken to them, apart from one time last year when he was pulled over as he drove through Dalkey. He also confirmed that he had returned to the zoo three days after the ban, and was admitted without fuss. When asked why he’d willingly paid money to return to the scene of his recent humiliation, he said that he had “unfinished business” there. He confirmed that this business was a desire to watch the penguins being fed, and he did not harbour murderous designs towards the orangutans. A Garda spokesperson confirmed this morning that the complaint had been made by a member of the public who became aware of the orangutans’ abuse. The person who registered the complaint stated that they felt it was their ‘civic duty’ to do so. Suspicions linger that the complaint was really made to highlight the absurdity of Ireland’s laws, which do not currently apply to orangutans.